Julia Gumanova (MPhil PhD) is a co-author and manager of English for Russians. If you are interested in studying English in Moscow with an experienced university tutor, Julia can arrange a course for you. 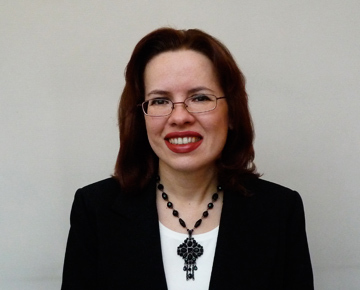 Dr Julia Gumanova is Assistant Professor of the Faculty of Foreign Languages of Moscow State University. She is an expert in cross cultural communication and distance learning, with 20 years’ university teaching experience behind her. Her English teaching career started at the Faculty of Journalism at Moscow University, continued at the Law Faculty, and more recently, at the Faculty of Foreign Languages. 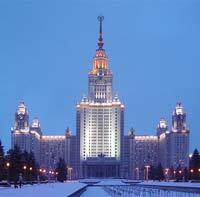 Julia is a graduate of Moscow State Linguistic University, Teachers' Training Department, with an MA in Linguistics. Julia's doctoral thesis was dedicated to socio-linguistic aspects of political correctness in Russian and Anglo-American cultures, and was nominated among the best works by Moscow State University scholars in 2000. Julia has more than 30 published works, including 10 original textbooks and course books. She is the leader of the team of authors of the “Just English” series of textbooks (English for lawyers) which have proved popular in and outside Russia, having sold 200.000 copies to date and awarded the prestigious Moscow University Shuvalov prize. 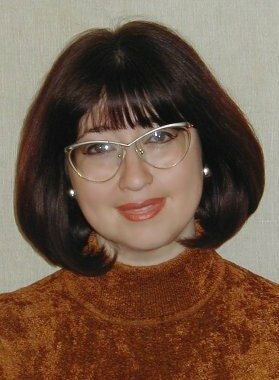 Julia is a member of editorial board of the almanac "The Distinguished Women in the History of Moscow State University" (with one of the entries dedicated to her) and a co-author of Russian and foreign on-line publications. Julia organises workshops and masterclasses for teachers and translators of legal English and works with colleagues from universities in Russian and the UK. She is author of the Just English website for students of law and co-author of Just Russian, the website for students of Russian worldwide.